Blessed with pristine beaches, ancient ruins, beautiful nature, and warm-welcomed people, Sri Lanka is a hidden charming island that usually be underrated by most travelers. Only those who have experienced the real Sri Lanka knowing that this idyllic island is an irresistible temptation. Any Sri Lanka shore excursion will deliver unforgettable experiences from fragrant tea, flavorful cuisine, crazy surf, abundant wildlife, and unique train-traveling. Begin to step into the eyes of travelers after centuries be missed by the heavy influence of civil war, Sri Lanka is now a newbie on the list of explorers to discover little by little its endless charms. Many itineraries for Sri Lanka shore excursions are trending now for cruisers who want to visit a non-touristy new land. 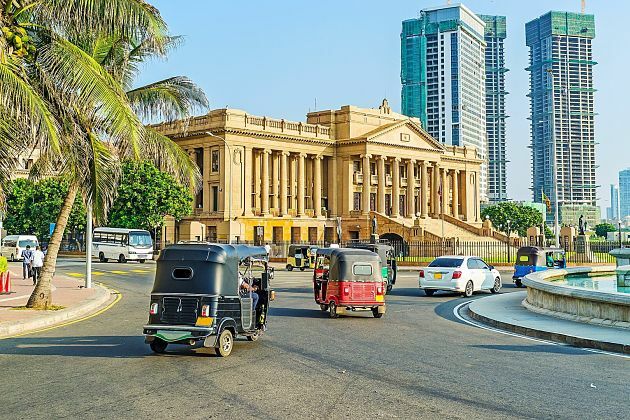 Asia Shore Excursions provides a great number of choices for Sri Lanka shore excursions in Colombo port to cover the highlights of the country. Have a look at our recommended itineraries for Sri Lanka day tours from Colombo port. If you do not find any suitable itinerary, please contact us to tailor-make a unique Sri Lanka shore excursion that adapts your demand.